Fantastic search function for selecting bird data. Fast retrieval of lists of birds owned. Easily enter a digital picture for each bird. 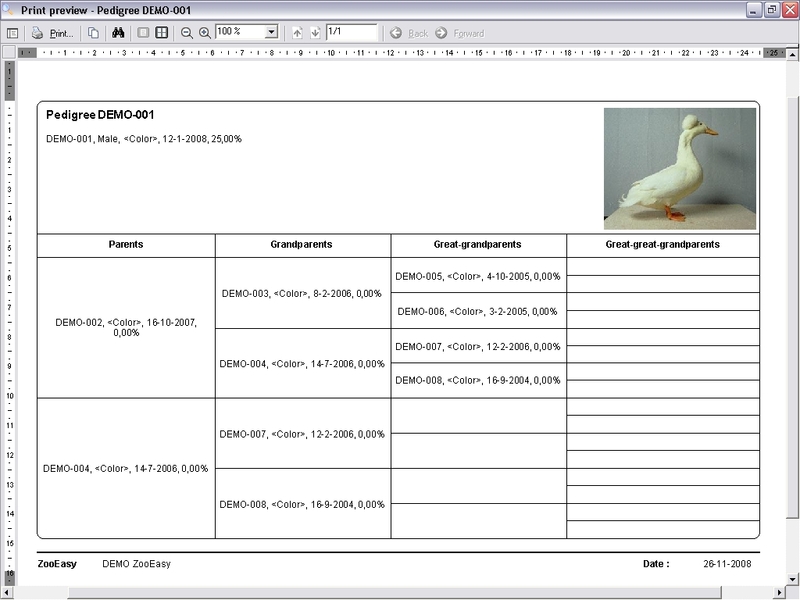 Print an index card for each bird including all relevant details. Quick-sort birds by breed or color. 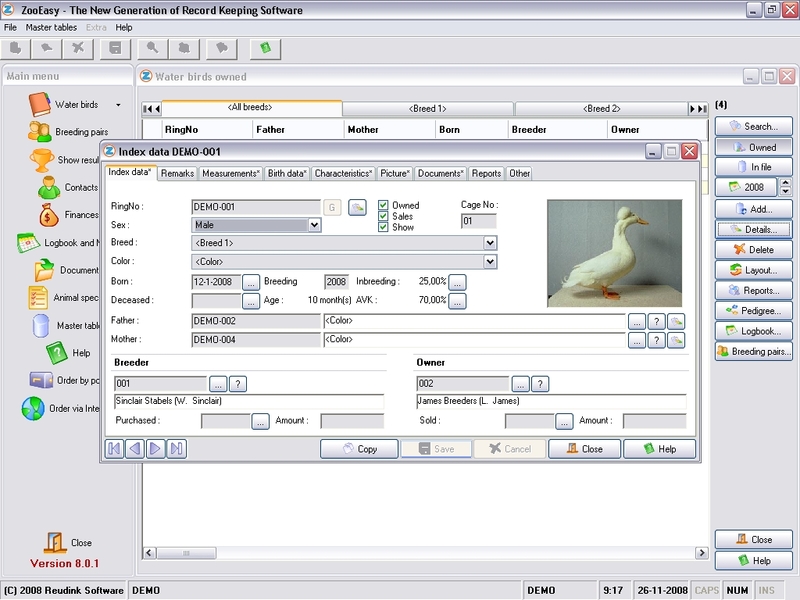 Record birds with or even without a ring number. 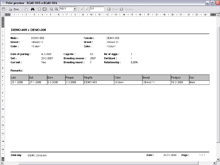 Record details of birds purchased and sold. 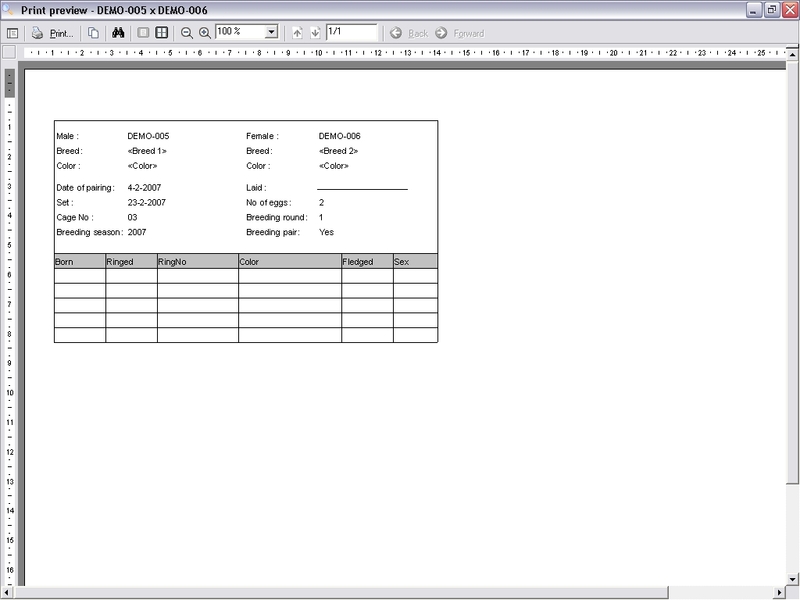 Sales module automatically adds the sale of a bird to finances + checks whether the bird may be sold. Easily distinguish between birds from different seasons. Print labels with the bird's details. Common ancestors are marked in the pedigree. This very quickly enables you to see which birds cause inbreeding. Store the weight scheme per bird. Request a graph with the weight development per bird. Create a relationship matrix which shows how closely birds are related. 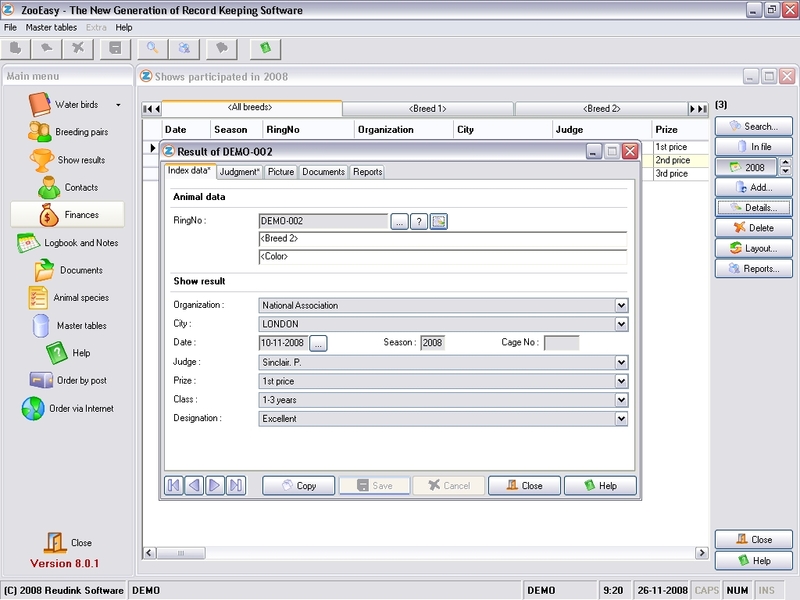 Quickly add birds from within the pedigree in order to complete incomplete pedigrees. 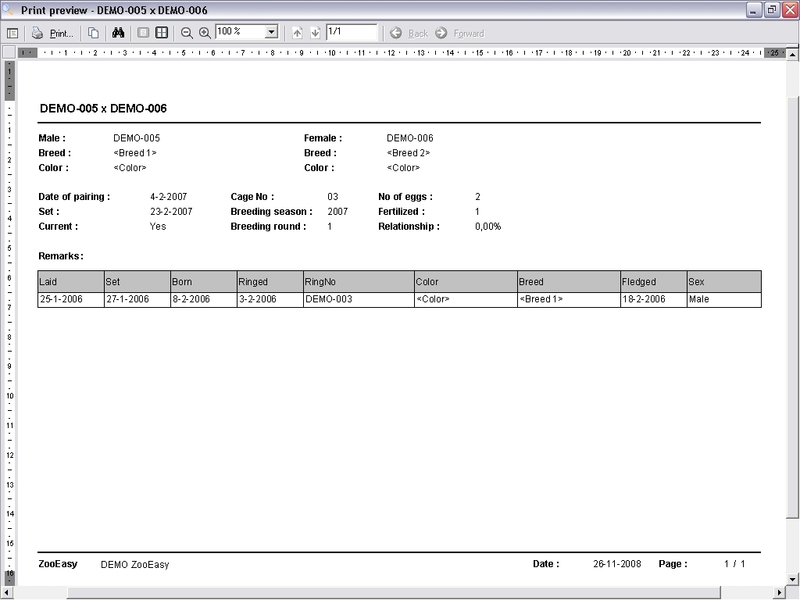 Export the complete pedigree of a certain bird to a file and/or send it by E-mail. Convenient to provide other ZooEasy users with a complete pedigree when selling a bird. 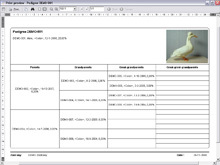 Quick-sort show results for each bird, season or breed. 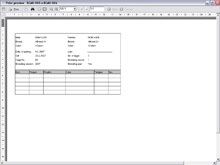 Produce an index card for each bird, including or excluding remarks and details. Lists of changes in bird collection during a particular period. ZooEasy is suitable for all breeds and also for clubs and assocations.